As an international art logistics company with offices and partners around the world, Fine Art Shippers has the pleasure of working with many artists, both prominent and those who are just getting started. We love contemporary art, and we do enjoy meeting new talents and inspiring people who create amazing art. For example, not so long ago, we were happy to get acquainted with the work of Kadir ARSLAN, a very talented artist you should know about. Kadir ARSLAN (b. 1986) is a Kurdish artist from Mardin, an ancient city in southeastern Turkey. ARSLAN has always been fascinated with art. He started drawing and painting at an early age, and already in primary school, his incredible talent was noticed by the art teacher who encouraged the boy to pass the talent exam. 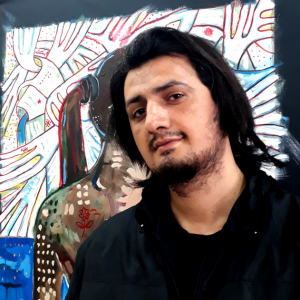 In 2005, Kadir ARSLAN graduated from Nevit Kodalli Fine Arts High School in Mersin and in the same year entered Çukurova University Faculty of Fine Arts in Adana. Right after graduation in 2009, ARSLAN opened his own art studio, which marked the beginning of his career as a professional artist. Unfortunately, a year later, Kadir ARSLAN got into a serious car accident that caused him to leave art for five years. Due to health problems, the artist returned to painting only in 2015. For today, Kadir ARSLAN lives and works in Istanbul, Turkey. He is largely known for his amazing portraits that perfectly combine classic portraiture with history and symbolic Middle Eastern culture. 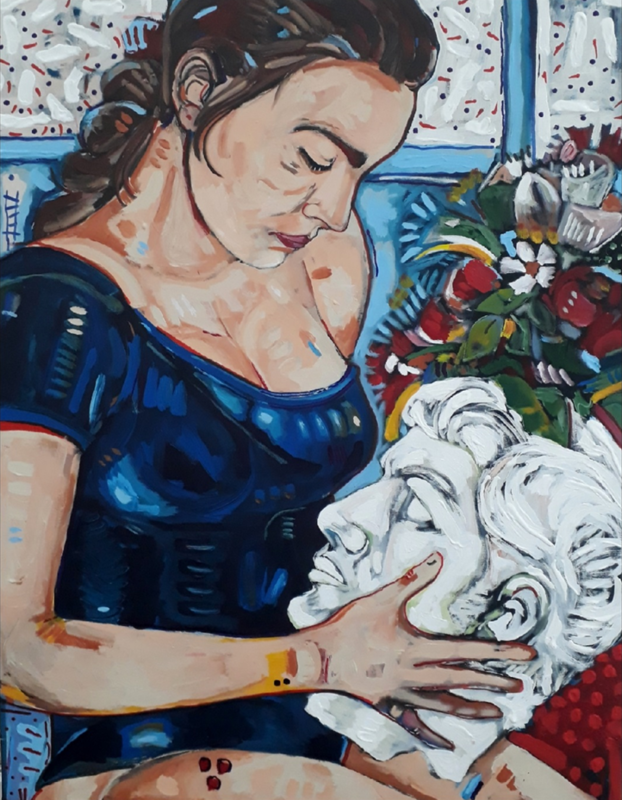 The artist’s works have already been exhibited in many important contemporary art exhibitions, including at the recent edition of ARTAnkara Contemporary Art Fair, and his paintings are held in private collections in Turkey, Poland, Austria, Norway, and the United States. 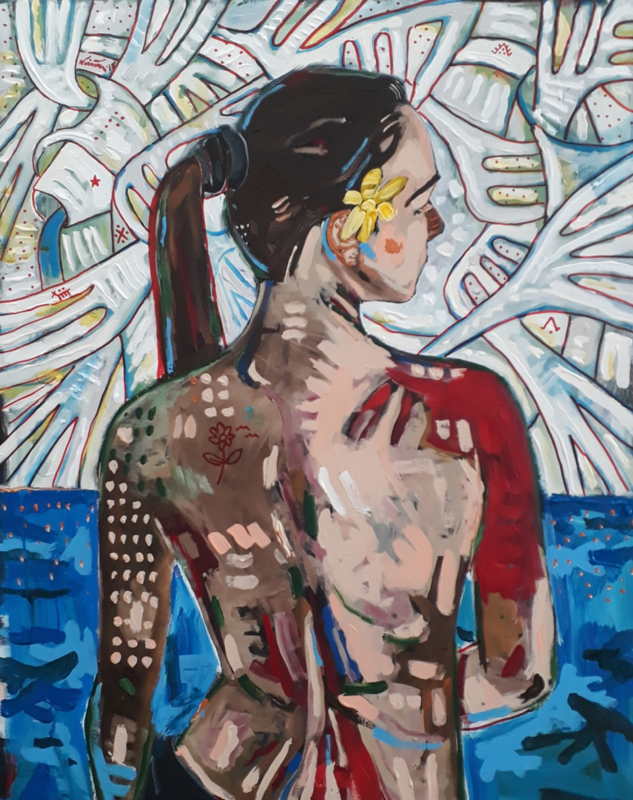 At Fine Art Shippers, we really love art by Kadir ARSLAN, and we are pleased to share several of his beautiful creations with you!